A lot of the information on this page is mentioned elsewhere in the site. But because heat and cooling are such important parts of designing and building a computer, I decided the topic deserved its own page. Heat and electronics are natural enemies, and computers put out a lot of heat. Let's look at the various components of your homebuilt computer's cooling system. The first component of a computer cooling system is the computer case itself. It has to be large enough to accommodate the heat produced by the internal components. The case also has to have case fans to draw the air through the case, past the components, and out of the case. Internal components like the processor, chipset, GPU, and others often have their own cooling fans. The efficiency of these internal coolers depends on the temperature of the air around them, so we need to keep the air temperature inside the case cool for the rest of the coolers to work at their maximum efficiency. All computer cases have openings for fans. They're standardized, but there are several different sizes. You'll need to purchase fans of the same sizes as the openings. Many cases come with fans installed. Whether or not they're adequate for your computer's cooling needs depends on the computer and the case. Cases marketed as gaming computer cases often come with multiple, high-airflow fans that can handle the heat of almost any computer build. But check first to make sure. 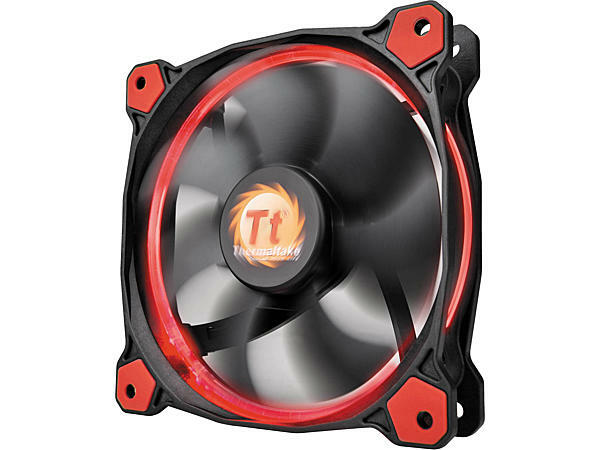 Just because a fan is shown in the picture doesn't mean it's included with the case. There are two types of CPU coolers. The most common type are fan-and-heatsink coolers, which remove the heat from the heat sink using a fan. The second type are liquid coolers or "water coolers" that use liquid to remove heat from the processor die and discharge it through a radiator. Let's take a look at the two kinds of cooler. The combination of a CPU fan and a heatsink is called a "fan-and-heatsink CPU Cooler." These coolers are designed to fit one or more processor socket types and typically are rated for certain series of processors based on the socket design, the cooler's efficiency, and the known thermal characteristics of the processors. The fans may be horizontal or vertical. Fan-and-heatsink CPU coolers come in a wide variety of styles, but they all work on the principle of passing air over the processor heat sink to draw heat away from it. They then discharge the heat into the ambient air using a variable-speed, high-reliability fan. Thermal compound is used between the processor die and the heat sink to improve thermal conductivity. Most CPU fans have maximum speeds of between 2400 and 4000 RPM and are cable of moving between 30 and 60 CFM (cubic feet per minute) of air at their maximum speeds. They connect to headers on the motherboard that allow the system to control their speed according to the processor's needs at any given moment. This allows the fans to turn more slowly when the processor is under low demand, and to speed up for extra cooling power when the processor needs more cooling. Processor manufacturers maintain lists of coolers that are "approved" for their processors based on specifications provided by the cooler manufacturers such as the form factor, heat sink mass, and airflow rating. Cooler manufacturers also publish specifications for their coolers that state what form factors and processors they support. 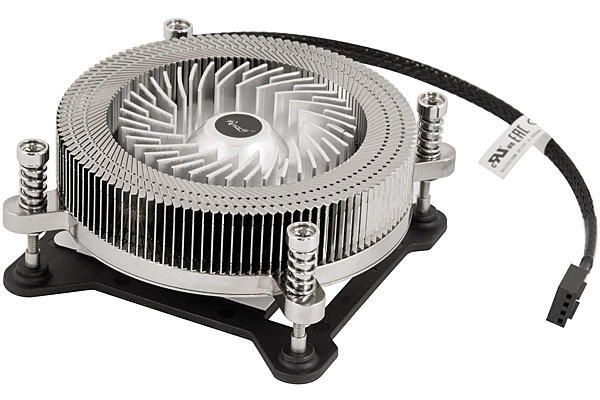 Fan-and-heatsink coolers are simple, inexpensive, and adequate for most purposes. As long as the cooler is either approved by the processor manufacturer, or certified for that processor by a reputable cooler manufacturer, it should work just fine unless you're either overclocking or using the processor in unusually demanding applications such as gaming or rendering video or blueprints. For those kinds of applications, consider either a higher end fan-and-heatsink cooler, or liquid cooling. Water cooling the processor is not a new idea. Liquid cooling systems have been around since the earliest days of mainframe computing. Back then, every corporate IT department had a plumber on call. 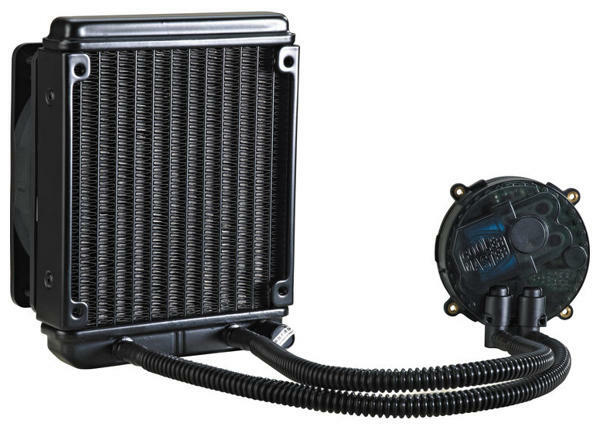 Liquid coolers work by installing a CPU block (or "water block") over the processor die, and connecting it with tubing to a pump and a radiator (or to an all-in-one liquid cooling system). The radiator has a fan that mounts in the case and discharges the heat into the room. Liquid CPU cooling systems are popular mainly among PC builders who use their computers for gaming, serious video editing, heavy-duty engineering or math, or other processor-intensive applications. They help to maintain more consistent temperatures, protecting the processor and improving stability. Liquid cooling is also much quieter than fans. Some, like the Cooler Master Seidon 120M shown here, are completely silent. Modern AIO (All-in-One) liquid processor coolers are also much easier to install than those with separate coolant pumps. Long story short, if you're a gamer or power user, if you plan to overclock, or if you're bothered by fan noise, liquid cooling is something you definitely should look into. Not being much of a gamer myself and not being bothered by fan noise, my cooling needs tend not to be very intense. I have never installed a liquid cooling system in any computer that I built for my own use, and I've never had any problems. Chipsets don't generate as much heat as processors, and most motherboards whose chipsets need chipset coolers come with them already installed. They may be passive heat sinks or they may have fans. Usually there's no need to upgrade them unless you either use the computer for extended gaming or other intensive use, if the fan on a pre-installed cooler fails, or if you start experiencing random I/O (input/output) errors that can't be isolated to other causes. This sometimes happens if your case is too small or has inadequate cabinet fans. Hard disk drives also generate a lot of heat, but usually not enough to require dedicated coolers. Some notable exceptions are drives that are used for I/O-intensive applications such as Web servers, computers used for video surveillance or full-length video rendering, or some games. Basically, the busier the hard drive is, the more it might benefit from a hard drive cooler. They're also useful in computers with very small cases where the heat can build up quickly.